Some specialized label machines also exist. These include rotary labeling systems for bottles and special printers and applicators for RFID and security tags. 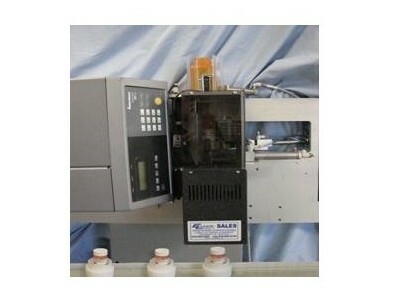 Label Machines – Elmark Packaging, Inc.
Labels are instructional or descriptive tags attached to many products and packages on the market today. They are also used to communicate the price of an object, as well as functioning as easy to read package delivery directions. With so many uses, labeling is rarely done manually. There are a variety of labeling machines that produce and attach labels to products that require them. 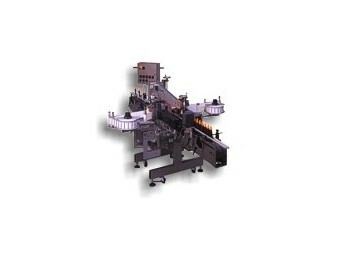 Printers and applicators are the most well known in the label machine industry. Label printers are generally high-quality, fast-working thermal transfer printers. Specialized label printers, which can have the label information inputted and then printed immediately, exist for a variety of applications such as in laboratories and for hospital wristbands. Printer applicators both print and apply labels for nearly any packaged good. These systems are often used in a context that requires more individually designed labels then multiple labels that are all the same. Labels may identify the product and brand specifically or they may have added information such as nutritional facts, product warnings or bar codes. Label applicators apply labels to individual products. They come in air-blow and tamp-blow varieties that blow labels onto products quickly and accurately. The tamp blow variety is sometimes designed to apply two labels onto two products at once, a popular style of label applicator because of its efficiency. Another type of label applicator is the wipe-on applicator, which wipes labels onto products, including around corners and on curved and unusually shaped products. For more complicated labeling needs, labeling systems can be used. Labeling systems are integrated systems that include label printing and applying, integrated conveyor belts, and computerized controls. They perform automatically, and are units with a high level of productivity. Such systems are found in industrial manufacturing or food processing and packaging plants, where mass amounts of products are being barcoded and detailed daily. Adhesive is always used to apply the labels, although the type of adhesive varies. Pressure sensitive and heat shrink are the most common styles; heat shrink is employed by most labeling systems, while pressure sensitive adhesives are common in individual label applicators. Label Machines Label machines apply labels to various products. The most common types of label machines include label printers, label applicators, printer-applicators, and labeling systems.